What are all the kids doing? 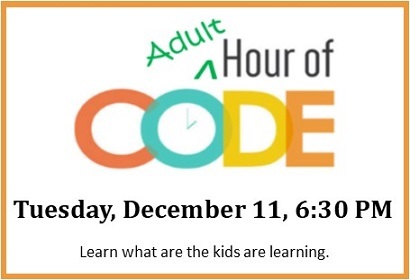 What is the "Hour of Code" I keep hearing about? Find out here as Julia Xistris, Media Technology Integration Specialist, takes us through An Hour of Code. We will have laptops available during this hour, though you are welcome to bring your own device (laptop, smartphone or tablet).